Total Solar Eclipse path travels right through Southern Illinois so the view from Shelbyville should be a memorable experience. Main Street Elementary School would like to capitalize on this special event. We want our students to be exposed to the topic and encourage curiosity and excitement with the science. We also want our students to remember the experience as something special and relative to them. However, our primary focus is safety. We have purchased a grade level set of Solar Eclipse glasses to filter out UV & Infrared radiation from the sun to safely observe the event. The glasses are from a NASA endorsed reputable vendor and are ISO certified. 1st through 3rd grade will take small shifts in a viewing rotation. The teachers will cover the topic and safety in classrooms. We will communicate the importance of the glasses and proper wear immediately before viewing. 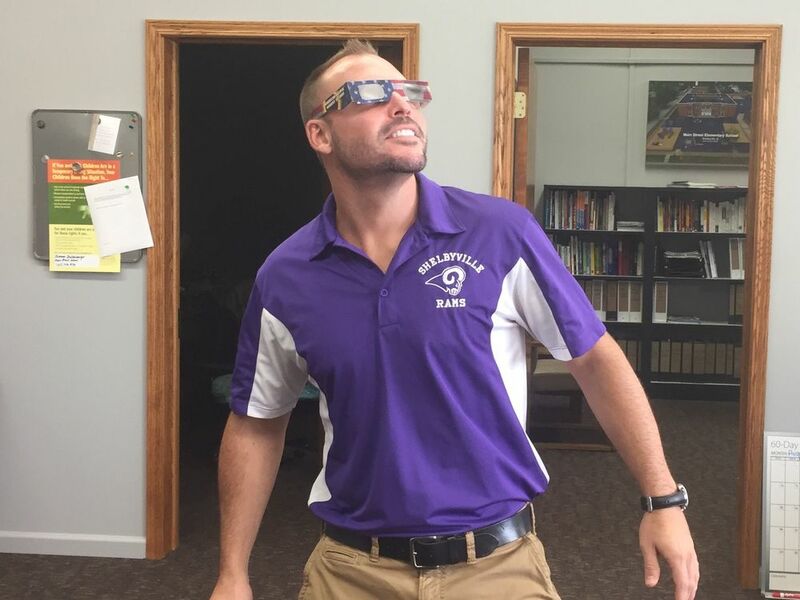 Students will wear safety glasses at all times while outside. Recess and PE will be inside this day so students are not tempted to look directly at the partial sun without proper protection. We plan to provide every student with a Capri Sun drink and a mini Moon Pie after lunch. We plan for all 1st – 3rd grade students to participate unless Parent/Guardian or Student are uncomfortable and would like them to participate in alternate setting. We will have a room with the NASA Live Streaming of the Solar Eclipse which is what all Kindergarten students will view. If you would prefer for your child to not participate in the live outdoor viewing, please contact the Main Street School Office 217-774-4731 by Monday, August 21st at 11:00 AM. Please communicate with your child regarding harmful effects of exposing eyes to direct sun without protection to reinforce strict safety precautions for viewing the Solar Eclipse.